Photo by Simona Carini. Honk for service. Trinity River Farm hugs Highway 96 about 2 1/2 miles north of Willow Creek. Its farm stand welcomes visitors with a "Honk for Service" sign out front. The late May sun shone brightly in the cloudless sky when I visited, but the temperature was kept to a pleasant level by a breeze that gently swayed the trees around the stand and neighboring old barn. I knew I would not find produce because the season starts in June, but I had the chance to get some eggs, browse the greenhouses teeming with starters of edible and garden plants, and talk to the farmer, Tom O'Gorman. On a photo collage hanging on the wall opposite the cash register I saw the evolution of the farm stand from the initial structure built in 1971 to now. A farm stand allows a more personal, usually more relaxed interaction with the farmer than the farmers' market. It's a shopping option on non-market days and can offer some special treats, like a perfectly ripe item too delicate or not available in large enough quantities to bring to the larger venue. The abundance of some fruit or vegetable — from apples, plums and peaches to tomatoes, green beans and more — inspires me to can or otherwise preserve it for later. Plum preserves or strained roasted tomatoes are my favorite antidote to short, gloomy days. Each farm stand is different in terms of what's available, hours of operation and duration of the season. When I inquired about plans for the season for the farm stand, the recurring answer was: It all depends on the weather — the great decider of what gets ripe when and in what amount. Hence, the dates are not set in stone. If you are making a special trip to a farm stand or are interested in a specific item, like raspberries, peaches, sweet corn or your favorite variety of tomato, call ahead. Now until the end of October, every Wednesday noon-6 p.m. Vegetables and pick-your-own herbs, flowers and leafy greens. Many varieties of apples and fresh cider. From late June or early July until November, Tuesday-Sunday 10 a.m.-6 p.m. Vegetables, including sweet corn, tomatoes, peppers, summer and winter squashes, peas and green beans. From mid-July until September, daily 10 a.m.-6 p.m.
Fruit and vegetables, including peppers, tomatoes, eggplant, brassica, lettuce, melons and summer and winter squash. Strawberries, raspberries, blackberries and blueberries. 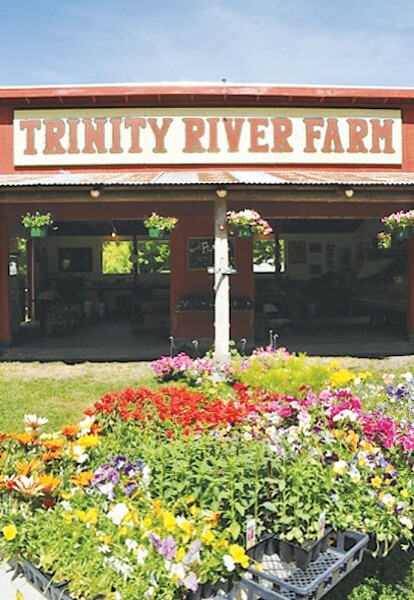 Produce, eggs, handmade items and cottage-industry foods and crafts from about 20 vendors. Fruits and vegetables, including tomatoes, stone fruit, persimmons and chestnuts. Summer dates and hours TBA. Open from early June until October, Tuesday and Thursday noon-6 p.m. and Saturday 11 a.m.-4 p.m. Vegetables and pick-your-own flowers and strawberries. Open now until July, or until the strawberries run out, daily 10 a.m.-6 p.m., depending on the amount of berries. Open at the farm now until the end of October, daily 8 a.m.-6 p.m. In Willow Creek (across from Renner Petroleum), from the beginning of July (when peach season starts) until October, daily 11 a.m.-6 p.m. Vegetables and fruits, including tomatoes, peaches and figs. Simona Carini also writes about her adventures in the kitchen on her blog:www.pulcetta.com.